You may have seen that we're once again running our national Act FAST campaign to raise awareness of the symptoms of stroke. The campaign encourages people to call 999 if they notice any of the signs of stroke. Today is World Stroke Day. To mark the occasion, PHE and the Stroke Association are working together to highlight the importance of Acting FAST with a new film. Why is Acting FAST so important? In total there are 110,000 strokes each year and while many people do survive, they can be fatal - it is the fourth largest cause of death in England. In addition strokes cause a greater range of disabilities than any other condition in the UK. Over half of all survivors have a disability and more than a third are left dependent on others for everyday activities. We know that some people are unaware of the early warning signs of stroke and delay calling 999. The signs can be mistaken by some as a ‘funny turn’, but stroke is a medical emergency and getting the right treatment, fast, can save lives and reduce the devastation that stroke can bring. This is the message we are getting across through a variety of means including our Stroke adverts, on TV and social media. The hard-hitting adverts show people having a stroke in everyday circumstances. In one, a woman has a stroke while applying her make-up, and in another a man suffers one while at the barbers. Timing is all important. The campaign urges people to dial 999 if they spot any of the signs of a stroke so that the person suffering it can be treated within the vital three-hour window. Also a person loses 2 million nerve cells for every minute they don’t receive medical treatment during a stroke, so getting to hospital early really can be a lifesaver. Nerve cells are the core components of the brain, spinal cord and central nervous system and the more that are lost, the greater the chance of slurred speech, paralysis and permanent disability. Earlier treatment results in a greater chance of recovery, a reduced likelihood of permanent disability and lesser need for extensive rehabilitation. Since the Act FAST campaign launched in 2009, an additional 41,382 people who have had a stroke have been admitted to hospital within the vital three-hour window, meaning they get the immediate medical treatment required which gives them a greater chance of a better recovery. 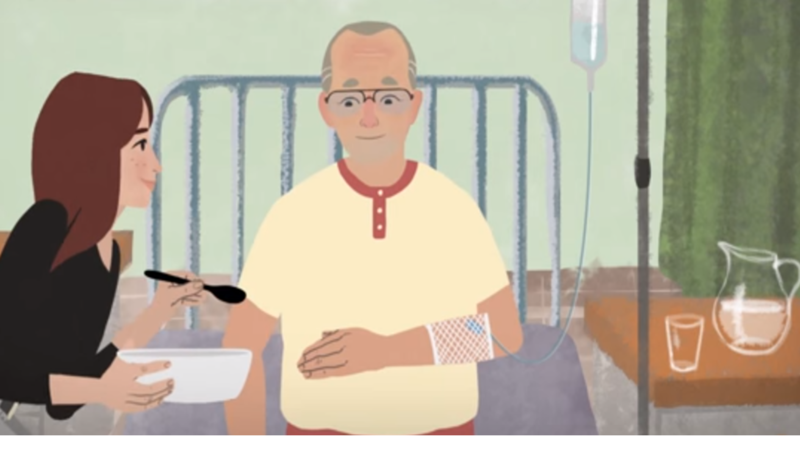 To illustrate how every minute counts and to encourage people to Act FAST we have created a thought-provoking animated film, based on a real life story, which depicts the possible outcome of two scenarios for a stroke victim. It clearly shows the potential medical outcomes of a person receiving immediate medical attention compared to the serious consequences if there is a delay in calling for an ambulance. So as you can see, with 110,000 strokes each year, it’s vitally important that people are fully aware of the symptoms so they can Act FAST if necessary. It really could be a lifesaver. This is useless: instead of answering the question the piece merely repeats the FAST propaganda - it is important to act fast because lots of people have strokes. Brilliant! What the piece does not tell me, for example, is that a stroke is caused by a blood clot which it may be possible to disperse if treated quickly enough, or what the ‘right treatment’ might be. The American sites offer far better information.